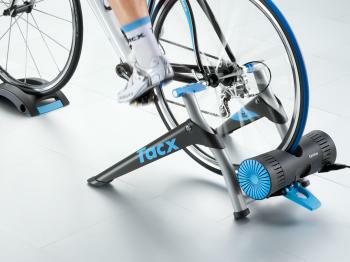 The Tacx i-Genius turbo trainer is a great way to start indoor virtual reality training. 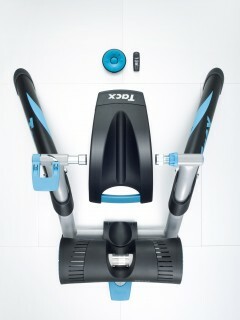 This is a high quality unit that comes with the Tacx Training Software version 4.0. The trainer communicates with a computer wirelessly and although it doesn’t come with an ANT cadence sensor as standard it does measure balance and cadence, this is a great feature that will give you statistics based on your riding technique and even tell you if you are applying more power with one foot than the other. The trainer itself plugs into a standard wall socket. It has an integrated motor brake unit and the max power of 1500W make this a really popular turbo trainer with those that want to improve their climbing. 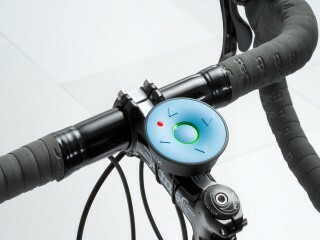 Please note it does not come with the BlackTrack steering frame which some websites proclaim it does. This is an optional extra or comes as part of the i-Genius multiplayer kit. It does however come with a Skyliner front wheel support. 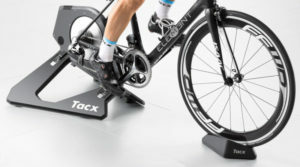 The video below show off the Tacx software, it's really worth a watch!